New faster-acting and more effective treatments for Hepatitis C are transforming treatment – offering a cure for, and even eradication of, the potentially fatal infection. But now the world must diagnose and treat the millions of patients with the condition – a particularly big challenge in developing countries. Hepatitis C is a huge global health problem: the World Health Organisation (WHO) estimates that 150-180 million people are chronically infected, causing the deaths of up to 500,000 people every year. 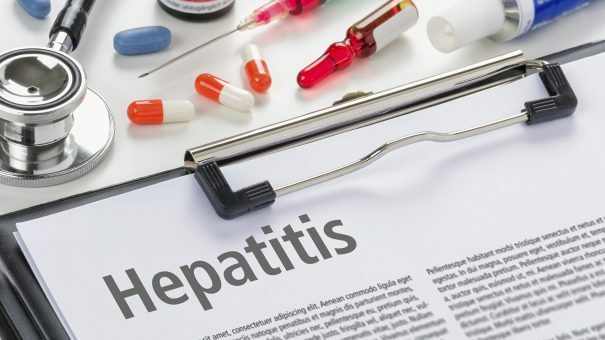 But new all-oral therapies for Hepatitis C virus (HCV) have emerged in the last few years, and have transformed the prospects for people with the condition. Direct-acting antiviral (DAA) drugs, such as Gilead’s Sovaldi and Harvoni and AbbVie’s Viekira Pak demonstrate higher efficacy, shorter treatment duration and better safety profiles than existing treatments. This means that, for the first time, the prospect of eradicating the virus is now a realistic goal. But this could take several decades to achieve, and the challenges and obstacles to eradication are most numerous in the emerging nations. So what are these challenges, and how do we overcome them? Often termed a ‘silent pandemic’, HCV-infected patients are asymptomatic for many years, unknowingly acting as reservoirs for on-going transmission and frequently progressing to chronic hepatic diseases such as fibrosis, cirrhosis and hepatocellular carcinoma. As HCV infection is mostly asymptomatic the majority of patients are unaware of their status. Also, lack of awareness regarding the need for screening among healthcare workers and high-risk groups, and high costs of diagnostic testing and treatment lead to dismal testing rates and case detection in both developed and emerging nations. Emerging countries undergoing epidemiologic transition with increasing burdens of chronic diseases have competing priorities and face additional barriers, such as need for screening of blood for HCV, unavailability of sterile equipment, and lack of national/political will to recognise HCV as a public health problem. The process to reach the eradication of HCV by treatment is gradual and faces many challenges (Figure 1). Until 2011, interferon alfa with ribavirin remained the first line therapy to treat HCV infection. Apart from being expensive, this combination regimen was complex, lengthy, had limited efficacy and caused severe adverse effects eventually leading to lower patient compliance. The arrival of DAA drugs has led the global healthcare community to believe that for the first time a viral infection without a vaccine can be eradicated by treatment alone. Stakeholders involved in viral hepatitis management across many emerging countries believe oral therapy can make a major impact on HCV infection levels in their countries.4 However, the affordability of newer therapies is still a major concern, especially in emerging countries, where there is the greatest concentration of people with HCV. A proposed action framework for HCV eradication in emerging countries – CA(2)RE (Figure 2) is outlined below. Patients, high-risk groups, healthcare providers and policymakers have very little knowledge of HCV. Screening measures targeted towards high-risk groups help uncover the asymptomatic patients, making them eligible for treatment and hence moving them out of the pool of HCV transmitters. Since the rate of ongoing HCV infection is also high in emerging countries, it is important to generate awareness among the high-risk groups and healthcare providers. Local research is needed to be able to better understand the impact of activities at a local level. Emerging countries need to mobilise/plan existing programmes in HIV and Tuberculosis and allocate future resources to prevent, screen and manage HCV infections. Lastly, in order to control any disease, the most important step is to gauge the magnitude of the problem. Policy makers can roll-out targeted strategies to control HCV if they understand the country-specific epidemiological parameters, such as burden of disease, types of prevalent genotypes, main route of transmission, and identify the groups at risk (recipients of blood products, HIV, IDUs, pregnant mothers etc). 1 Hepatitis C fact sheet. Available at: http://www.who.int/mediacentre/factsheets/fs164/en/. Accessed on: 16 March 2016. 2 G. Papatheodoridis et al. Public health issues of hepatitis C virus infection. Best Practice & Research Clinical Gastroenterology. 2012; 26: 371-380. 3 M Lemoine et al. Viral hepatitis in resource-limited countries and access to antiviral therapies: current and future challenges. Future Virol. 2013 Apr; 8(4): 371–380. 4. KAP Survey on Impact of Oral Therapies for Viral Hepatitis in Emerging Countries. Available at: http://www.fs-researchcenter.com/admin/Bullet_PDF/141029_FSRC-KAP_Survey_Report.pdf. Accessed on 16 March 2016. 5. Low- and Middle-Income Countries Defuse Hepatitis C, the “Viral Time Bomb”. Available at: http://www.pipelinereport.org/2013/hcv-global-access. Accessed on 16 March 2016. 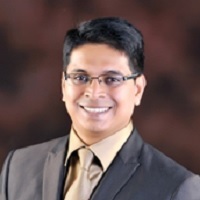 Dr Arun Gowda, a physician by training, has worked in the health domain for the last 15 years. He is director of the scientific platform FSRC at Phamax AG on market access strategies and employing real-world evidence to support healthcare access. Previously, Arun was global product lead at Nokia, managing mHealth in high-growth economies. Prior to Nokia, he worked with pharmaceutical analytics and consulting organisations supporting pharma and FMCG companies.